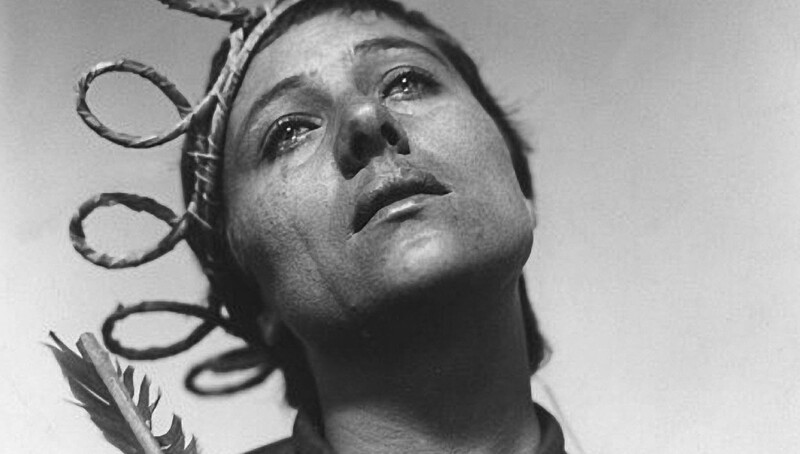 One of the last great silent french films, La Passion de Jeanne d’Arc has an intensity that is only supplied by images. This silent film is indeed, silent. Director Carl Theodor Dreyer’s tale of the last hours of Joan of Arc was originally conceived to not have any musical accompaniment like many silent films of that era. La Passion de Jeanne d’Arc has no innovative technical achievement of lighting, sound, or anything most other films offer. Instead, this film’s achievement is in the mise en scene, the characters, actors and the successful use of close-up and imaging. 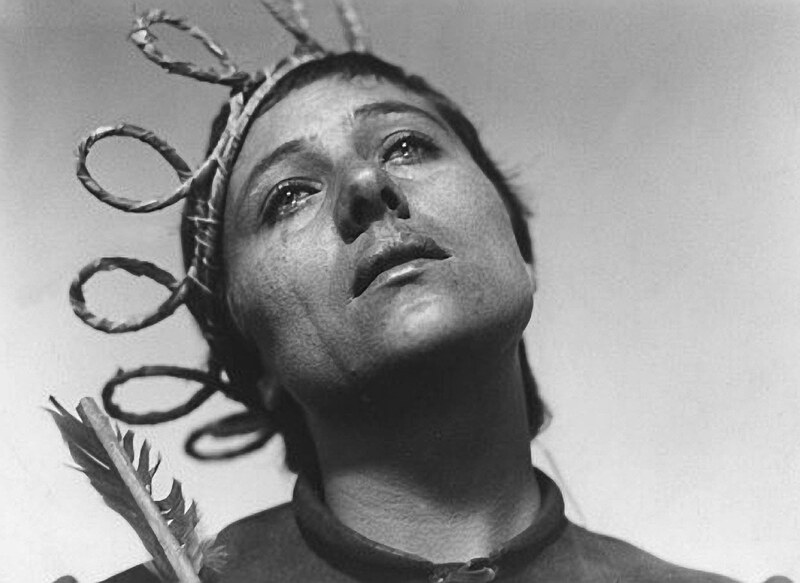 While La Passion de Jeanne d’Arc is silent, its images and content are loud. Dryer’s use of close-up allows the character to speak loudly, with their expressions and facial features. Even for a film of this time period, La Passion de Jeanne d’Arc is intense and shakes your very skeleton. The scenes, frames, Joan’s tears and cries are shocking, believable. You’ll forget that this is a silent film, you will be transported the very time period this film portrays. Even Passion of the Christ does not feature the same organic intensity and vigor of Dryer’s masterpiece. La Passion de Jeanne d’Arc is a difficult film for those who are more used to audible dialogue. Regardless, this film has attained its rightful place in the CinemaFunk Film Canon.